Vintage 1956 rose gold Omega watch. 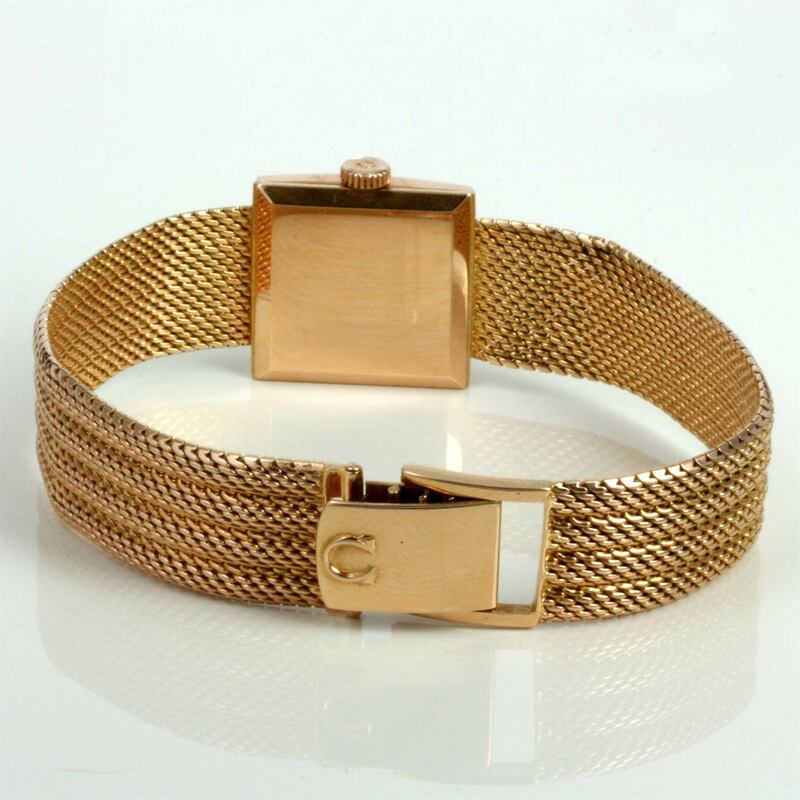 Product code: 1573 Categories: Sold Items, Sold Omega Watches. 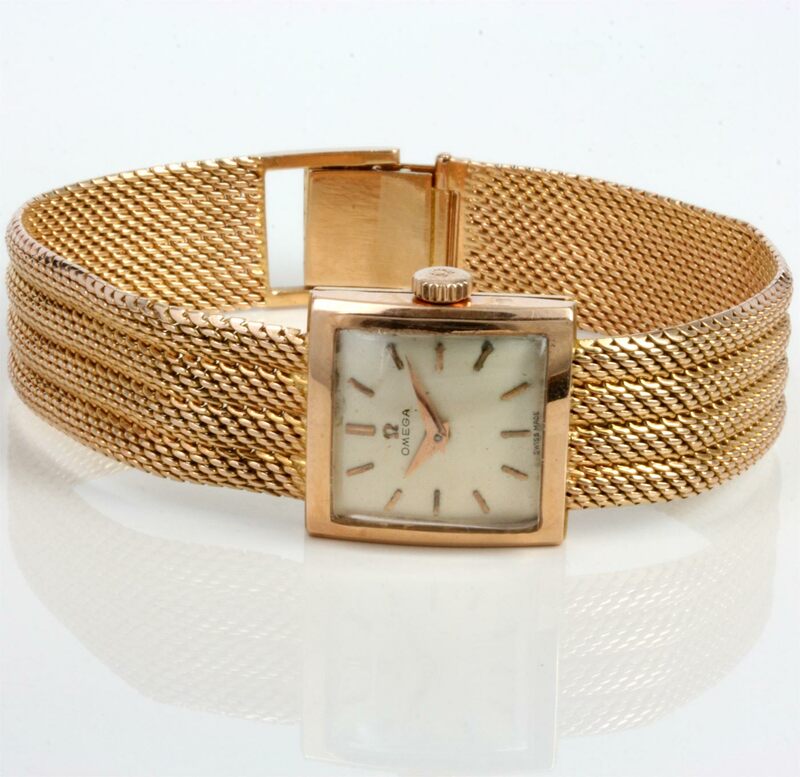 This is a very attractiver vintage rose gold Omega for any woman who appreciates elegant watches. Made in 1956, this Omega is fitted in a beautiful 18ct rose gold case that looks so attractive. The case measures 19mm across plus the crown, and the entire length of the watch measures 18.8cm and looks sensational on the wrist. Inside is a 17 jewelled manual wind Omega calibre 244 that runs perfect. 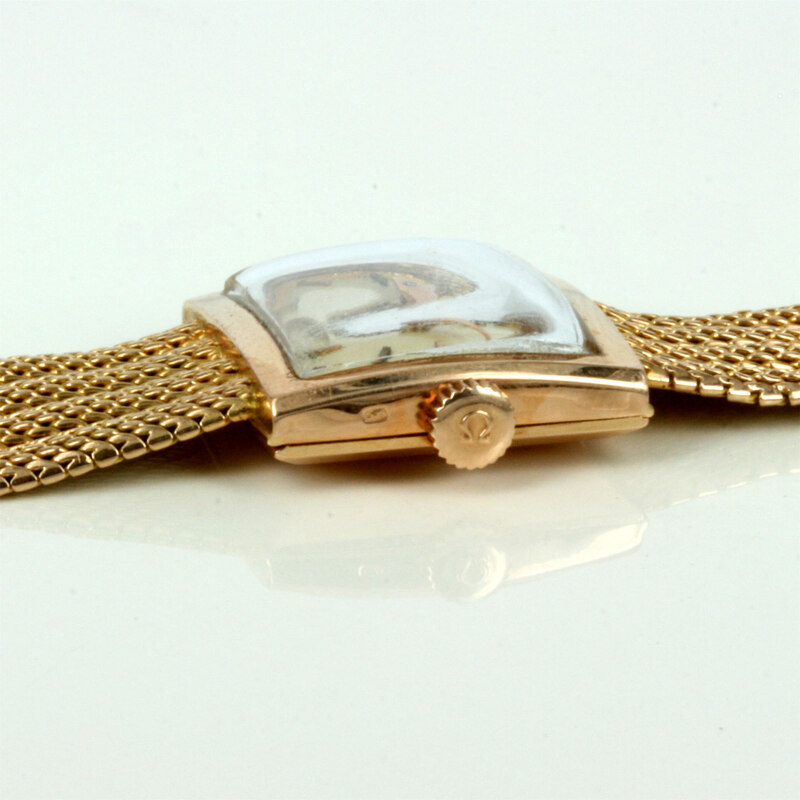 This is a great vintage Omega watch in rose gold that looks and feels wonderful.